144 rolls (i.e. 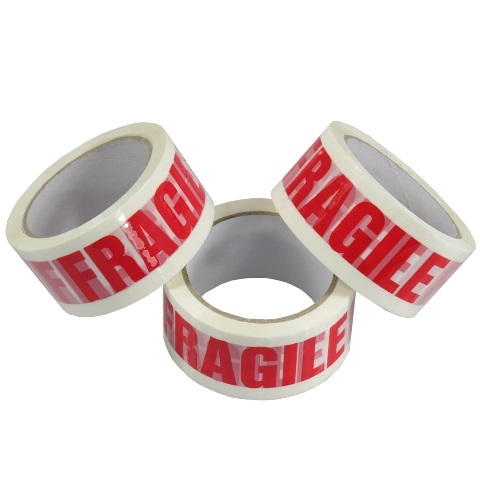 4 boxes of 36 rolls) of LOW NOISE fragile printed packing tape 48mm x 66M. These are industrial length rolls, and perfect for packing those fragile items to make the courier/logistical companies aware that fragile goods are inside the box.